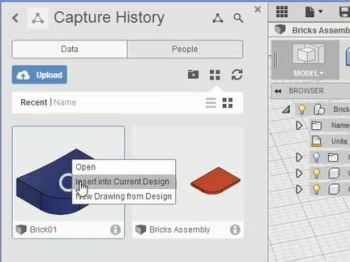 Autodesk’s Fusion 360 “Caption Design History” feature is used to keep track of features and changes made to components within a file. But what would happen if it was turned it off? More importantly, how could turning it off be advantageous? 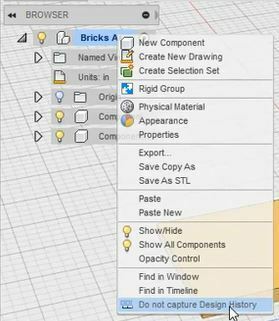 In the tutorial above, we see a Fusion 360 file with both a yellow and red brick. The Caption Design History captured the steps taken in their design and could be found as a timeline underneath the components. Objects within the Fusion 360 file can now be edited, but all the history for each object in the file is gone. Because of this, it is important to think carefully before turning off the design history. Luckily, the history can be restored simply by undoing your actions. The history of a component can be preserved while having the Caption Design History feature turned off, but it’s a bit of a tricky process that requires some early planning. Components can be recreated in a separate Fusion file. To move the object into a new file, simply right click on the component listed under Browser and select “Copy.” The copy can then be pasted into a new file and edited as needed with the design history turned off. Remember to save this file under a unique name. Editing this object is possible while the design history is on and saving any changes done to it will create a new version of the object. The original object in this assembly can be kept as a starting reference or deleted. Users must remember that once the Caption Design History is turned off, the history for each component in that Fusion file disappears. Plan your edits ahead. Sign up for more video tips and tricks, webcasts, and white papers on IMAGINiT’s ProductivityNOW Portal. 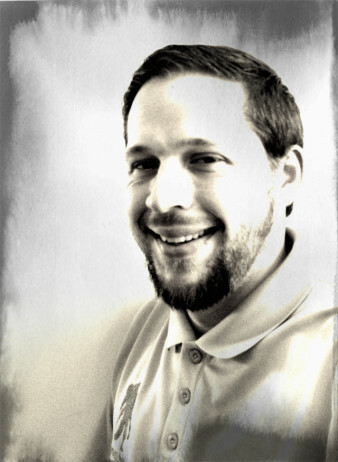 Anthony Dull brings solid hands-on experience in manufacturing and design, as well as a mastery of cutting edge digital prototyping concepts to IMAGINiT’s technical team. With a clear understanding of the design process from concept through production, Anthony is aware of the issues that our clients face and can assist them with the becoming more efficient and remain competitive. His proven expertise in modeling, analysis technology and an ability to communicate his knowledge to others makes him a valued instructor and trusted partner to our clients during the specification, implementation, training and support phases of technology adoption.